A press release said that in view of the concerns raised regarding the shortage of subsidized LPG in the media and the problems that people are facing, the government would like to support the noble ‘Citizen’s Initiative: Our Gyenkhu’. 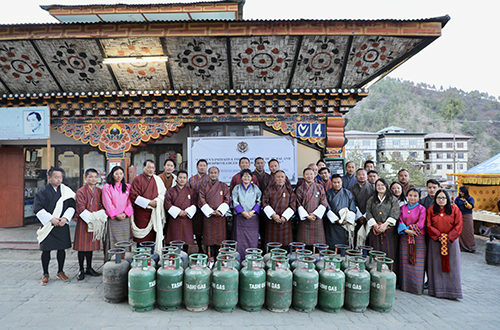 Led by Lyonchhen, the Opposition leader, NC Chairperson, Cabinet Minister and Parliamentarians, voluntarily surrender the subsidized LPG and avail the readily available non-subsidized LPG. The initiative was launched from the BOD, Motithang on 11th April, 2019.